Hello and welcome to this episode review of the profit with billionaire Marcus Lemonis. If you’re new to the profit and want to get the quick grasp of what it’s all about then visit this page. In this episode, Marcus visits a Coopersburg Pennsylvania based baseball novelty business called Coopersburg Sports. Founded in 1991 by Scott Pino, the company used to be owned by Scotts dad who ran Coopersburg Handle Works. The official information on the website regarding the company is “COOPERSBURG SPORTS is a division of COOPERSBURG ASSOCIATES, INC., of Coopersburg, PA. Family owned and operated since 1791.” Coopersburg Sports has just struck-out with their key major league baseball client but its owner remains stubborn and has a hard time letting go of the past. Marcus has to help refocus the business in the right direction or the game may well and truly be up. 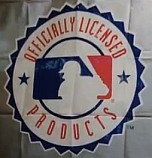 Coopersburg Sports has a license with the major league baseball company to produce merchandise. The company is known for their mini bat which can be found in every major league baseball park. Back then business was great and the company was pulling in over $4 million a year in revenue with great profit margins. In 2008 however, a major sporting goods company entered the novelty market and almost immediately took over half of Coopersburg sports’ business. Today Coopersburg Sports operating in an old and outdated facility using very chaotic business process. Scott has brought in his kids, Jackie and Ben, to help him run the business. Sales, however, continued to slide and Scott remains reluctant to let them make important changes to help the business perform better. Marcus Lemonis believes that he can help Coopersburg Sports get its business back on track. There is a lot of money to be made and they could literally knock the ball out of the park. Marcus arrives at Coopersburg Sports to find a very disorganized facility. Even though there is a fair amount of manufacturing going on, there seemed to be no flow nor process. In a facility were paints and heavy chemicals are used, Marcus noticed there was no good ventilation. He meets Scott and gets to know a little bit more about the company and what they do. Scott tells him that the company’s best year was over $4 million but now the company is hovering around $2 million in revenue per year thanks to the poor economy and a major competitor (Louisville Slugger) that came into the market. Scott shows Marcus his most famous product the mini bat made by an Amish woodworker. He tells Marcus that the bat can be found in all major league sports parks like the Los Angeles Dodgers, the New York Yankees etc. The relationship Coopersburg Sports has with major league baseball and the fact that it has its products in all the stadiums is the reason Marcus decided to come to see the business. This is the breakdown of the mini bat costs to produce versus revenue. It costs Coopersburg Sports around $1.15 including the royalties to produce the bat. Adding the logo of the baseball franchise costs around 20 cents at the highest level. Scott pays MLB 12% for each bat sold, around 18 cents. The bat sells for around $1.50 giving a profit or around 30-37 cents. These are very very slim margins for it to be the company’s (300,000 units per year) signature product. Marcus doesn’t like the fact that the bats are painted in-house and he is very interested in squeezing out more profit from this product by bringing in already pre-painted bats. This will save around 10 cents per bat on costs. If you calculate that Coopersburg Sports sells 300,000 units per year of these bats, that is a cost reduction of around $30,000 per year. Add that to the $12,000 per year in waste/faulty products cost and the savings increase to $42,000. Scott tells Marcus that he inherited the production facility from his dad who ran a tool and handle turning business that supplied bats to major league baseball players. When a major tool company came on the scene, his dads was pushed out of business. After a chance meeting with the Major League Baseball association, Coopersburg Sports was born to continue the bat creating the tradition of the old business. The fact that Scott was able to evolve and turn his dads dying tool and handle business into Coopersburg Sports is a huge success story. However, he will need to evolve once again and branch out into new products to save the business once again says Marcus. Marcus continues his tour of the business and sees something very cool. Scott has rigged up some old HP printers to print on the bats and that is very clever. Marcus is impressed. In the next scene, we are introduced to daughter Jackie who finds out that there is a shortage of boxes for a big order. Jackie is in charge of collegiate marketing and sales. She complains to Marcus that the lack of an inventory tracking system as well as a business management program has once again caused a shortage in material. Scott tells Marcus that such software is very expensive and may cost $30,000. Marcus replies that it is costing them more in lost fulfilment not having the software in place. It looks like Scott is in control of everything and is not willing to delegate to his children roles that will help the business move forward. He is set in his old school ways while his children are dying to bring in fresh new ideas. Scott takes Marcus to see the bats made by the Amish. This is a very interesting part of the business and a great relationship with the community. Being based in the heart of Amish Country, Coopersburg Sports is sourcing its bats from the locals and this provides jobs. Scott, however, owes this bat supplier about $25,000. The debt of the company is around $700,000. For the year, Coopersburg Sports is likely to generate about $2,000,000 of which just $40,000 will be profit. From this little profit, Scott is servicing the $700,000 loan which will take him a lifetime or defaulting if things don’t change. Marcus understands the situation is bad with this company. He is however very impressed with the relationship with the MLB. He still thinks that the business is focusing too much on just 1 income stream. This causes Coopersburg Sports to be a seasonal business since the MLB has off seasons. There is a 4th quarter income missing from the business and Scott has lay-off people every year in the slow season because of this. In the next scene, Marcus meets Scott’s wife Wendy and Ben, his son. Ben is a plant manager so Marcus speaks to him about the production system. Ben tells him that the production process is so chaotic and inefficient. He has been trying to change this for a long time but his dad Scott is stuck in his old ways and not is interested. The facility has no off-loading dock so inventory has to be walked from the trucks to the warehouse where they are stacked. Marcus believes that the warehouse is not just inefficiently run, it could be a fire hazard as well. Marcus asks Scott why he continues to stay in that old facility. Scott says Coopersburg Sports won’t be able to afford to move. The current rent is around $1300. Its cheap but as Marcus says, they are tripping over dollars to pick up nickles. 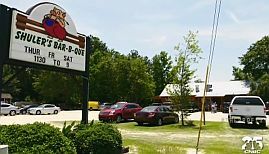 With a bigger facility (even with higher rent) and the correct system, Marcus believes that the business can expand and generate more revenue and profit. Inefficient production facility and system. No proper ventilation in the paint facility. Seasonality of the business as it is focused on the Major League Baseball market. Lots of payables owed to the business. So Marcus sits down with the Pino family to talk about the state of the business and the investments made. He looks through the financials and finds out that the business has $285,000 in total payables with over $600,000 in bank debts. The total debts are around 1 million dollars. Wendy breaks down when Scott says he is tired of the problems. Marcus says that the business has to grow out of its seasonality by adding more product lines and improving its production process. Marcus offers Coopersburg Sports $630,000 to build out a new warehouse facility with a new inventory system and pay off the payables. For this, he will want 50% of the business. Scott says that he has worked too hard, too long to give away 50% of his business. He asks Marcus to put more skin in the game. Marcus tells Scott that in the next couple of years, he won’t have any return on his investment so the risk is too high for him. Scott counters with 30%. Marcus says he is willing to go to 30% of the equity if he gets a 3% royalty on all of the products produced by Coopersburg Sports in perpetuity. This way, Marcus is more motivated to increase the sales since he will get a higher return with more sales. Scott agrees and gets the check. Totally overhaul the business process. Get more licensing deals with other leagues and develop new relationships with big retailers. As soon as the deal is done Marcus takes the family to see a new facility he believes will be perfect for Coopersburg Sports. Marcus plans to get the facility for a 5 year lease but to get the first year for free. Using the fact that the building has been empty for 2 years, he negotiates with the owners to get the first year for free. They counter him with 6 months but finally settle at 9 months. The rent is $8,000 dollars per month and represents an increase in rent of $80,400 per year. With Coopersburg Sports selling over 300,000 bats a year, the greater storage space will permit a higher quantity order and this will, in turn, reduce the price. The real difference, however, will depend on if the Pinos can come up with new products for the company. Scott just can’t see the need to add any other product apart from baseball bats. Looks like Scott wants to compete with giant Luisville Slugger instead on focusing on what can increase his business. Marcus wants to use the technology and know-how Scott developed over the years to produce new personalized products. He is highly interested in those rigged printers and if they can print on other surfaces and shapes. In the next scene, we see Marcus pitching Scott an INK Credit card from Chase. As these episode come, I am starting to notice that big companies are placing their products in the profit. The last time it was AT&T for the Unique Salon and Spa episode. I am sure it’s making a lot of money for the production company, but I am not sure it is helping the image the profit show has. So next, Marcus visits Pittsburgh on a business trip and he is shown coming down the steps of a private jet parked outside a hanger just for added effects :). So instead of being in all 30 MLB parks, the product is in just 5 of them. This is serious and Marcus is disappointed. The fact Scott promised him they were in all 30 parks was one of the reasons Marcus offered him a deal in the first place. Once again, Marcus is about to get hustled and the profit lying trend continues. In the next scene, Marcus visits Jerry Weaver at Weaver woodworks, the Amish bat producer for Coopersburg Sports. He wants to see how the bats are made. Marcus wants to know what else these highly skilled woodworkers can make for him. He finds a waste bat shaped like the leg of a table and asks if that could be formed into a stool. With MLB branding on it that could make serious money. The ideas are always flowing with Marcus. In the next very emotional scene, Scott breaks down in front of Marcus and his son Ben. He says the story of how hard he worked to get the MLB license and how much time and sacrifice he made. This is the reason he holds on tight to his ways, which are mostly old and need to evolve. He now understands that his kids are the new generation and their ideas will be the future of the business. 3 weeks later, Marcus comes back to find a display with prototypes for 15 new products. Yeeeee, finally someone does what Marcus “adviced“. Scott is now leading the way in this new era and it all looks good. Even the stool idea was realized and the final product looks very cool. There is even a line of MLB teams branded wooden kitchenware. In the next scene, Marcus takes Scott and wife Wendy to see the construction works going on at the new facility. Marcus even gets to play with some building tools, as always. This new facility coupled with new accounts will eliminate the seasonality. Next Marcus takes the Pino family to his friend Johnny Moore Bass Pro Shops to pitch their new line of products. After having no results with his male-oriented items, Scott passes the pitch over to daughter Jackie and she strikes a chord with the growing female demographic. The buyers for Bass Pro Shop are interested in the kitchen line as well as the branding and personalization technology Coopersburg Sports can provide them. Things are really looking bright. Scott is now in full support of his children taking the lead on new products and innovations. The successful Bass pro Shop pitch was a result of this. We here at theprofitfans.com wish Coopersburg Sports and the Pino family all the best and will be looking forward to adding updates to this post about the business. I hope you enjoyed this episode with us. Don’t forget to share this review on the social media by clicking the share button floating to the left of this page and choosing your preferred button. Also, I’ll love to have your comments and discussion about this episode and its characters. Thanks for visiting us and do come back for new episode reviews. UPDATE: It looks like the company have a new subdivision called Coopersburg Products LLC for their new product lines. Looks like they also have the NFL, NCAA and NASCAR coming on board soon with their licensed merchandise. I believe this company will explode in revenue very very soon. It was so funny though. They make Marcus start off with a story of how he got started when he began buying other businesses, then BOOM into a pitch. I am sure there was a better more natural way to insert the product than this. You probably forgot that Marcus Lemonis is a business man. His goal is to make money (he states that very clearly in almost every episode). And no, he is not only making money by investing in troubled companies..
Wake up people! The Profit is a money making machine for Lemonis. Hats off to the guy. Finally a show that fills the three “Ps” Good luck to them. Really liked this family. They had obvious love and respect for each other. Contrast this with the Fish Market Family. Whew! Love the update. So happy to hear things are going well for them. I watch these episodes and simply love a happy ending. This is one of the best I’ve seen so far. Glad you’re here to keep us updated. Sometimes I hope to get an interview with some of the people involved in the happy stories. If I ever do so, I’ll make sure to share the interview with you. I was a fan of this episode, I had no problem with the “Chase” plug either; whatever it takes to keep the money rolling. This family is 100% interested in succeeding as a business and as a family and it was a pleasure to watch. As a business owner with my husband I can respect and appreciate a family that is willing to do what it takes together to improve their business; of course with a little boost from Mr. Lemonis. Cheers to yet another great episode! As a business owner that banks with Chase, I had to roll my eyes when he promoted Chase in the show. They are the worst bank and they turn their backs on small businesses. I gross more than $3 mil and they literally make me “chase” the money when I request any lending. I hate to say Marcus was really reaching on that one. Talk about getting paid to advertise I’m sure! support and supplies for their in-house computerized printing needs. I have always had a lot of respect for Scott Pino and his staff. I am glad to see that Scott has found a way to keep this family business alive and poised for great things in the future. It couldn’t happen to a nicer group of people. Great show! I appreciate the fact that Marcus takes particular care to emphasize that he wants to make money AND save jobs. This show should be required viewing for business loan seekers. As a CPA for many years (now retired), I wish he placed more time on the financial analysis and how he arrives at the “deal.” As for the Chase push, he could have done better with a local banking relationship. Must be more than one bank in Coopersburg. Might want to put the right name for the owner of Bass Pro Shops, it’s Johnny Morris, not Moore. I went to school with the daughter Jackie from this episode. It was really cool when I found out she was on the show and I’m glad to see that she and her family’s business are doing well. I wish them nothing but the best for them and hope to come across some of their products soon. I just bought one of their bats from Angels Stadium! I really admire how the father listened to Marcus, stepped back and allowed the next generation to take control. Dad’s worked himself to the bone, no he can enjoy the fruits of his labor. Marcus has a huge heart. Really enjoy watching the show. Woo hoo Nascar coming on board? That’s terrific! I’ll be buying! Hello, I’ve seen you in the program the profit… I hope you’re doing better now. If your company still is ‘alive’… I want such a wooden bat (wooden pipe to hit the ball). I am sure you’ll sell this much more to computer kids!!!! Hope to hear soon from you if it is possible.